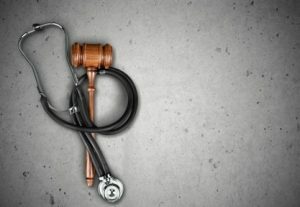 New Jersey Medical Malpractice Attorneys | Tomes & Hanratty P.C. In the United States, there are few places you might live or visit where you won’t have access to quality medical care. In major cities, of course, medical facilities from single offices to sprawling award-winning hospitals are minutes away. Americans are quick to place trust in medical professionals hoping that they are worthy of the oaths they’ve taken to first “do no harm”. Unfortunately, medical mistakes can take place causing further injuries, pain, suffering and incredible financial consequences. When this happens, even one mistake can be life-changing. If you or someone you know has endured a medical mistake that has caused harm or even death, call the medical malpractice lawyers at Tomes & Hanratty, P.C. When a person goes to a medical professional, whether it be for a routine checkup or for a specific ailment, they trust in the talent and competence of the medical professional. When someone has cancer and the medical professional fails to diagnose their disease, it leads to terrible results. In some cases, misdiagnosis of cancer leads to unnecessary treatments for other diseases while the true problem goes unattended and gets worse. Did you know that almost 225,000 people die each year due to errors by doctors? In fact, more than 7,000 of these deaths are the result of medication errors. For a variety of unfortunate reasons, patients are prescribed too much or not enough of a drug. In some unfortunate cases, they are prescribed a drug that causes a negative reaction with other medications they are already taking. A birth injury, also called a birth trauma, occurs when there are complications during labor and/or delivery, resulting in harm to the baby or mother. Almost half of birth injuries are due to negligence or a lack of care on the part of the physician or medical staff. Parents who are already distraught over their child’s injuries are often horrified to learn that birth trauma was potentially avoidable if doctors and nurses were quick to diagnose challenging circumstances and act with appropriate care. For most people, an emergency room is for those who need immediate medical care. When we break a bone, need stitches, have chest pains, a quick trip to the nearest emergency room is in order. However, even the most state-of-the-art, award-winning hospitals have emergency rooms that are understaffed and employed with overworked and sometimes under-trained medical personnel. Emergency room errors and mistakes occur in even some of the best emergency rooms and many others throughout the region. Cauda Equina Syndrome most commonly results from a disc pressing on the nerves at the base of the spine causing pain, loss of feeling in the lower back, leg weakness and other debilitating symptoms. If the condition is not treated quickly and appropriately, irreparable nerve damage can also cause bowel and bladder problems as well as lifelong sexual dysfunction. The surgical treatment of an acute nerve compression is usually regarded as a medical emergency due to the potential for serious permanent damage if treatment is delayed. Every year, over one million instances of abuse occur in nursing homes and long-term care facilities. Even though the Nursing Home Reform Act establishes standards that were to reform practices and procedures in nursing homes and improve care rendered to residents, abuse and neglect still occur. If your elderly loved one suffered in the care of a nursing home or long-term care facility, call Tomes & Hanratty, P.C., to schedule a free consultation with a New Jersey elder abuse attorney.